Skippy is playing on smoothness, both literal and figurative, in new marketing that leans on the No. 2 peanut butter’s somewhat recent cultural shoutout — if you can call four years recent. And, for the first time, Skippy is using the same idea to sell both peanut butter and snacks. Separate ads for Skippy peanut butter, Skippy Natural peanut butter and Skippy P.B. 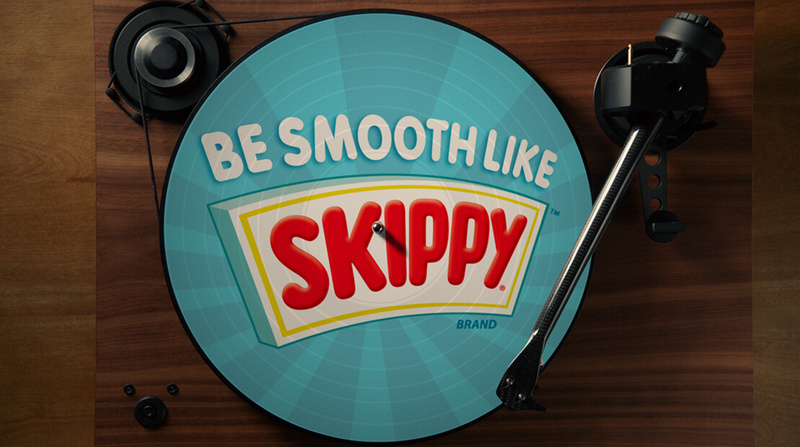 Bites feature the new tagline “Be Smooth Like Skippy.” The campaign comes from BBDO Minneapolis.